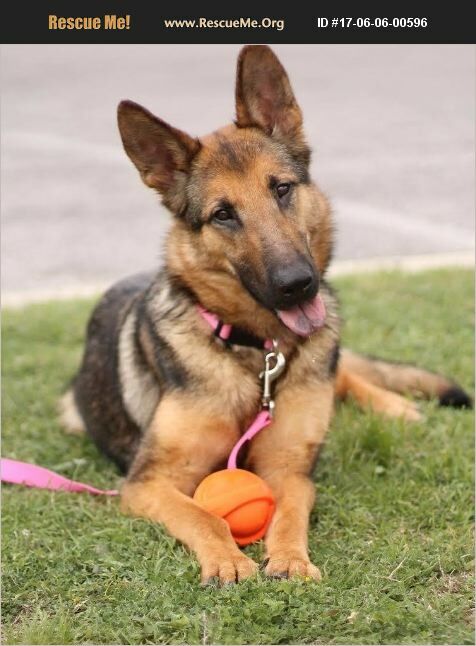 Darla is a 2-3 year old German Shepherd rescued from the streets of San Antonio. She was very thin and heartworm positive when found but has since been through treatment. She is looking for a home where she can be the only dog. She is potty trained and crate trained and is very food and toy motivated so additional training should be easy for her. She loves her ball and she loves to go for walks or runs. She is great with kids but I would recommend kids over the age of 8 just because of her size and energy level. Darla is available for adoption with Saving Grace Dog Rescue of San Antonio. The adoption fee is $150.00. An adoption application, home visit and adoption contract are all required. All dogs are spayed/neutered, up to date on vaccinations appropriate for their age, microchipped, and wormed for internal and external parasites. If you would like more information or an adoption application, please email us at sgdrsa@outlook.com. Please note that visual breed identification in rescue dogs is unreliable so for most of our dogs we are only GUESSING at predominant breed or breed mix. We get to know each dog as an individual and will do our best to describe each of our dogs based on personality, not by breed label.